This Christmas season, I have a few clients and friends that have suffered the loss of a loved one this year. I have mourned with those that mourn and been a shoulder to cry on. Watching these dear ones navigate their first holiday without a husband or a child is painful. Its awkward, its yukky, its sad, and there is no way around it. So, I have been observing their foray into the holiday season, with heavy hearts. The question remains: How to “do” Christmas on the other side of great loss? with regards to decorating a tree…. How about a live tree? 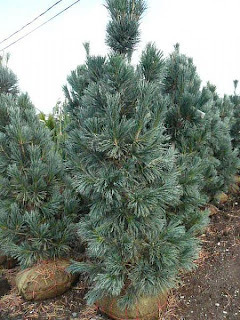 A ball and burlap evergreen that can be planted in memory after the season? It is meaningful, honorable, hopeful, speaks of life, growth and purpose. It does not have to have much, a few lights, perhaps a touch of ribbon, and a select few ornaments. Friends & family could come and bring an ornament or two and help decorate it. Christmas will never be the same again after loss. Just maybe, this is a way to move through with hope and purpose. Remembering my friends and family this season who have lost someone dear. May you find comfort and hope and peace. Praying you encounter Christ this Christmas Season.